Make turning food into fuel illegal! But what about Brazil? Isn’t it running on ethanol? It can be BAD for Global Warming! Are biomass schemes even an energy source, or do they use so many fossil fuel based fertilizers, pesticides, harvesters, and processors that they are just fossil fuels in disguise? Many argue that their ERoEI is so low that we should really ask “Why bother?”, especially with the highly subsidized American corn to ethanol industry. “In 1979, with the price of oil surging … the U.S. Department of Energy invited Pimentel to chair an advisory committee to look at ethanol as a gasoline alternative. The committee’s conclusion: ethanol requires more energy to produce than it delivers.”Q. You claim corn ethanol’s energy balance is negative, and there’s a growing consensus that it’s positive. Why the difference? (Rich Plevin, Grist letters, Phd student from Berkeley). New York Times on the ERoEI of ethanol. New York Times Op-Ed However, even with an ERoEI of 8, remember the next point: Volumes are limited because of food v fuel (next point)! 2. Make turning food into fuel illegal! Turning corn, wheat, rice and other grains into fuel would leave the world hungry. We should not turn food into fuel. There are other ways to produce biofuels from agri-waste and municipal waste, but converting farmland into fuel-land is not an acceptable option. But there can be serious consequences if forests are razed for plantations, if food prices rise and if communities are excluded from ownership, it says. And it concludes that biofuels are more effective when used for heat and power rather than in transport. “Current research concludes that using biomass for combined heat and power (CHP), rather than for transport fuels or other uses, is the best option for reducing greenhouse gas emissions in the next decade – and also one of the cheapest,” it says. ScienceMag says a third of our cropland would only generate 10% of our fuel! Their 17 August 2007 one page PDF breaks down 43% of the USA and 38% of Europe’s current cropland would only produce 10% of our fuel needs. Also, for reducing Greenhouse gases simply replanting trees and forests would be between two and nine times as effective as planting crops for biofuels. It further argues that improving fossil fuel efficiency would be a far better path. Lester Brown tells Fortune that one tankful of the latest craze in alternative energy could feed one person for a year. “We are facing an epic competition between the 800 million motorists who want to protect their mobility and the two billion poorest people in the world who simply want to survive. In effect, supermarkets and service stations are now competing for the same resources.This year cars, not people, will claim most of the increase in world grain consumption. The problem is simple: It takes a whole lot of agricultural produce to create a modest amount of automotive fuel. In 2006 about 17% of the US corn crop was converted to ethanol and supplied 2% of the nation’s auto fuel. The Earth Policy Institute predicts ethanol production will claim 50 percent (or 140 million metric tones,mmt) of US corn in 2008, with 79 new ethanol plants due to come on line in the next two years. This will double ethanol capacity at a time when world grain stocks are at their lowest level in 25 years and falling. By 2020 alcohol production could remove conservatively 400 mt of grain from world food -feed markets, either directly or by diversion of land from food crops. If maize was the sole source of the feedstock, President Bush’s call for the USA to produce 35 billion gallons of renewable fuel by 2017 would require about 320 mt of maize – more than the present annual production. 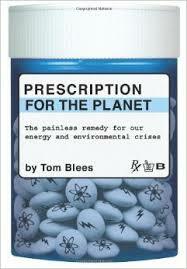 Ted Trainer also writes that Biomass can’t save us! His figures are very comprehensive. 3. It can be BAD for Global Warming! What about all those Carbon emissions? Grist also has a very comprehensive biofuels series both for and against HERE. Their conclusions? Small is beautiful, and conservation is still king! 4. But what about Brazil? Isn’t it running on ethanol? Brazil only uses 2 million barrels per day of oil energy, only produces 0.28 mbd ethanol — and the world uses 84 mbd! If anyone tells you Brazil proves that we will all be driving ethanol cars soon, “Tell ’em they’re dreamin'”. All group members subscribe to a sustainability pledge stipulating that any sustainable biofuel must perform as well as, or better than, kerosene-based fuel, but with a smaller carbon lifecycle. The user’s group pledged to consider only renewable fuel sources that minimize biodiversity impacts: fuels that require minimal land, water and energy to produce, and that don’t compete with food or fresh water resources. In addition, cultivation and harvest of plant stocks must provide socioeconomic value to the local communities. I don’t see anything which can be rolled out as fast as the oil depletion curve, or anywhere near it, but who knows what they might scale up to in 30 or 40 years from now? The peak oil problem is for this generation, but I’m quite optimistic that my grandchildren will achieve some amazing things, and biofuels could be a big part of the solution. Our predicament is meeting today’s fuel needs and as I’ve repeatedly stated, it’s just not going to happen, a Great Depression seems inevitable. If you want to go on that overseas holiday, do it earlier than later because who knows how long the airlines will be bankrupt and only the uber-rich will be able to fly? Biochar farming enthusiasts have come up with a way to turn agricultural waste into a synthetic diesel fuel. This system grows food with less fertilizer, permanently stores carbon into the soil where we need it, and gives us some syngas or synfuel. The fact that it can potentially store so much Co2 if adopted worldwide has led me to give Biochar it’s own special place in my Solutions pages. Vast quantities of Algae can be grown in small desert areas as long as there is a waste water input nearby, and so can theoretically provide an enormous amount of energy. Pictured here is the High Density Vertical Bioreactor by Valcent, who claim that 10% of New Mexico would supply all America’s energy needs. Ted Trainer rightly critiques pond-grown algae as terribly inefficient with water use, open to contamination by invading algae forms, and not circulating properly or gaining an efficient mix of sunlight, it seems most of these concerns are solved by the Bioreactor. Where does all the feedstock come from to make future generations of the plastics in a completely oil-free world? The algae! See the Algaculture wiki for more uses for algae, including energy, food and nutrient additives, pollution treatment and more. My only current concern with aglae is the cost, as I have not seen independent studies verifying how cost-competitive it could be. Plants that require no fertlizer or pesticide inputs and grow on marginal lands (not prime farmlands) like Jatropha oil or Hemp seed may play some small role. Again, there is just not enough land and freshwater for these purposes.